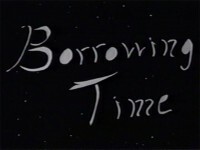 Borrowing Time a part animated feature film complete with atomic insects, planes on string and the very theft of history itself. Borrowing toured the country and won best Director, visual effects, design, and best editor at the Syracuse B movie festival. The IMDb page.